The tax brackets are changing in 2019. Here's how the changes will affect your wallet. Doing your taxes is complicated. One of the most basic things you need to know is what tax bracket you fall into. Tax brackets specify how much tax will be owed on different portions of your income. As you earn more, you move into a higher tax bracket -- and your tax rate rises. Tax brackets don't stay the same from year to year. They can change when tax reform laws are passed. That happened in 2017, so the tax brackets in 2018 were totally different from the ones the year before. They may also be adjusted upward for inflation. This happens each year as a matter of course, so it happened between 2018 and 2019. If you're not sure exactly what this means for you, here's what you need to know about how the 2019 tax bracket changes affect your wallet. What are the 2019 tax bracket changes? There were no big changes, but the income ranges for each tax bracket went up slightly. How do these tax bracket changes affect you? Remember that the tax rates above only apply to the income in the corresponding brackets. If you earn more money and find yourself in a higher tax bracket, you will not pay the higher tax rate on all of your income -- only on the income in that bracket. The highest tax rate you pay is called your "marginal tax rate," because it applies to each additional dollar in income. 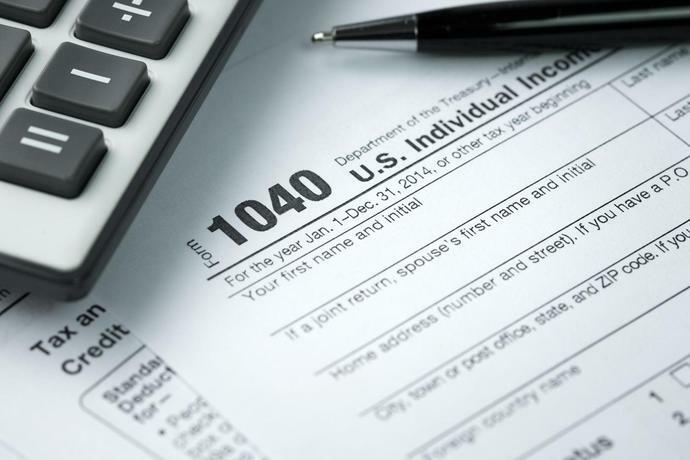 These small changes in the tax brackets won't have much of an impact on you, as only small amounts of your income will be taxed at different rates. Let's look at an example to see how this works. Say you had taxable income of $40,000 in 2018 and filed as married filing jointly. You'd have been right in the middle of the 12% tax bracket. You'd have been taxed 10% on your first $19,050 in income and 12% on the rest, leaving you with a total tax bill of $4,419 in 2018. In 2019, on the other hand, $19,400 of your income will be taxed at 10%, not $19,050. The remainder of your income, then, is still taxed in the 12% bracket. There's also another change that will likely affect you: a change in the standard deduction. The standard deduction is the amount you can deduct from your taxes if you don't itemize. It's increasing from $12,000 to $12,200 for individuals, from $18,000 to $18,350 for heads of household, and from $24,000 to $24,400 for married couples. If you earn $40,000 again in 2019, then the extra $400 deduction means your new taxable income for 2019 will be $39,600 -- the first $19,400 of which is taxed at 10%, and the remainder of which is taxed at 12%. This would make your new tax bill $4,364. You'd pay about $55 less in taxes thanks to the changes. If your income is near the top or bottom of a bracket, you'll see a slightly bigger change. If you earned $320,000 in 2018 and will earn the same amount this year, then in 2019 an additional $5,000 in income will fall in the 24% bracket instead of the 32% bracket. That alone would save you $400, even without taking into account any other changes. If you file your taxes using online filing software, the change in your tax brackets should be accounted for automatically. An accountant can also help if necessary. The bottom line is, unless your income went up, you may pay a little less in taxes next year thanks to the small changes in the tax brackets caused by adjustments for inflation. The Motley Fool owns and recommends MasterCard and Visa, and recommends American Express. We're firm believers in the Golden Rule. If we wouldn't recommend an offer to a close family member, we wouldn't recommend it on The Ascent either. Our number one goal is helping people find the best offers to improve their finances. That is why editorial opinions are ours alone and have not been previously reviewed, approved, or endorsed by included advertisers. Editorial content from The Ascent is separate from The Motley Fool editorial content and is created by a different analyst team. O'Rourke, a former Texas congressman and one of the 18 candidates seeking the chance to run against President Donald Trump in 2020, paid $81,019 in taxes on $288,786 in taxable income, paying an effective tax rate of 28 percent. The taxable income factors in the credits, deductions and exemptions the O'Rourkes could claim, including tax breaks for their three children and deductions for investment fees. The couple reported nearly $68,000 in interest and dividend income in 2017, in addition to his salary as a member of the U.S. House of Representatives.